Regardless of industry, businesses have been forced to become more operationally agile to meet the challenges of the modern global marketplace. Advances in technology mean that the traditional centralised office is rapidly becoming a thing of the past. Online collaborative tools make it easy for workers to complete tasks together from anywhere in the world. Operational flexibility is key to creating an agile business that is capable of reaching its corporate goals and creating a culture that supports and engages employees’ changing needs. 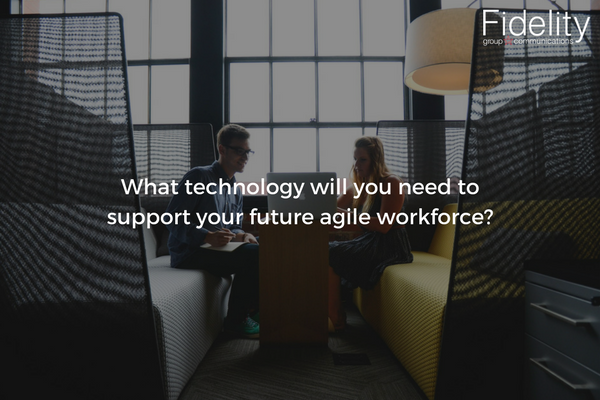 So what are the technologies your business should consider to improve its own agility? Traditional fixed line telecoms systems are, by their very nature, inflexible. In the past, ISDN would have seemed a reasonable solution for a business based in a single office. SIP trunks are the natural successor to ISDN, offering businesses much greater flexibility and enhanced functionality in order to support a more agile workforce. As a result, they are fast becoming the solution of choice for many organisations. For businesses with several locations, a SIP trunking service can provide ISDN line rationalisation – an ideal way to reduce the number of PBXs requiring maintenance. When paired with an inbound call management system, SIP can help your business be in complete control of its communications. Call routing plans can be easily configured and deployed via an online portal, ensuring your callers can always get through. Calls can be seamlessly re-routed across multiple devices to reach remote workers when away from the office and IVRs put in place to help identify the right destination for each call. For the best results it is important to ensure your business has sufficient bandwidth to support both its data and voice traffic. All too often remote workers are supplied with a standard broadband connection or tasked with securing their own onsite connectivity. The focus is placed on data throughout for accessing corporate systems remotely, with voice traffic relegated to secondary importance. Taking this approach almost always results in poorer than expected call quality. Should remote workers run into problems, they are likely to switch back to using their mobile phone and charging calls and rental costs back to the business, increasing telecoms spend. Instead, it is important to choose a broadband connection that properly balances voice and data traffic for best performance of both. This approach results in fewer dropped calls that create a negative experience for employees and customers alike.